Begin by attaching pipe cleaners to the back of your sign so it will be easy to attach to your wreath. You can also add a bit of hot glue to help the pipe cleaners stay in place. Set aside to dry. Next, cut the deco mesh into 12 inch strips (I made 5). Ruffle it by bringing it together in the middle and making a bow tie shape. Secure each one with a pipe cleaner and set aside. Note: If you have a steel pick machine, you can add a pick to the mesh. If not, just leave enough of the pipe cleaner sticking out to attach to your wreath. Once your glue has dried, attach the sign to the grapevine wreath using the attached pipe cleaners. You can add a bit of hot glue, if needed. Separate each stem from your Spring floral bushes. Note: I like to separate mine by color to make it easier when adding to the wreath. Now it’s time to add your flowers. I chose the pink flowers to start with because they were the largest and placed it in equal spaces around the wreath. Add a bit of hot glue to each stem before inserting into the grapevine wreath. Note: If your wreath is a bit loose, you can add a steel pick or wood floral pick to your stem. Next I moved on to the purple flowers and did the same thing, adding them around the wreath. Continue adding your flowers by color, working your way down in size. 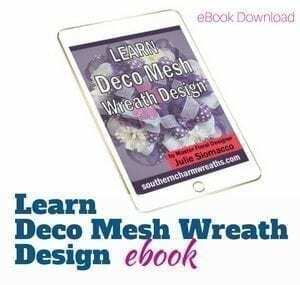 Save some of your smaller flowers for after you add the deco mesh. 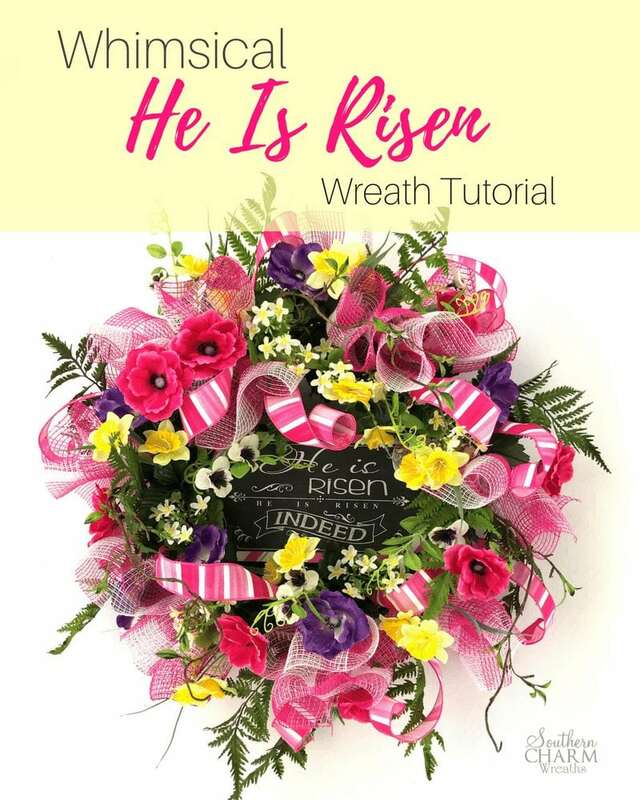 Add the deco mesh bundles throughout the wreath between the flowers using the pipe cleaner you attached in the center. After adding your deco mesh bundles, add in some greenery. You can use whatever greenery you prefer – I used fern leaves that I had on hand. If they are on a bush, cut the individual stems. Just as you did your flowers, add a bit of hot glue before inserting into the grapevine. Next, I took pink and white ribbon and wove it through the wreath. This gives the wreath a bit more color and dimension, plus you can use it to fill in any empty spots. To attach, pinch the end of the ribbon and attach a steel pick or a wooden pick. Note: Cut your ribbon into sections to make it easier to work with. Lastly, to fill in any empty areas and to brighten it up, I added in clusters of small white silk flowers and some sprigs of woody greenery. I hope you enjoyed this Easter wreath! 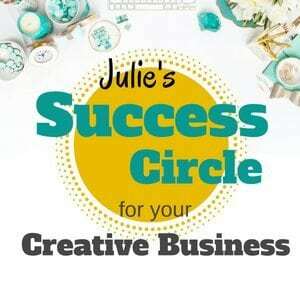 You can easily customize this wreath to fit your style. Change the colors, choose different ribbon or even use a sign that is more for Spring instead of Easter. That way you could leave it up all of the Spring season. 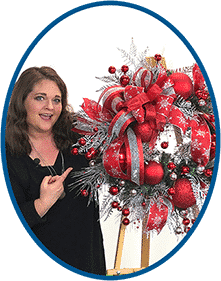 Hey Julie, This wreath is absolutely beautiful! I have a question in regards to what you use as a hanger on the back of the wreaths. I have tried floral wire but does not seem to want to hold the weight of the wreath and it won’t hang straight. Can you tell me what you use? I use rustic wire but you can also use a pipe cleaner.